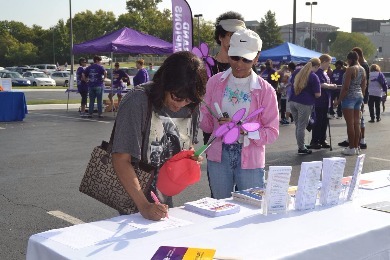 ​The 2017 Pennyrile Walk to End Alzheimer’s Disease was held Saturday, September 23rd at the Justice Center in Hopkinsville. 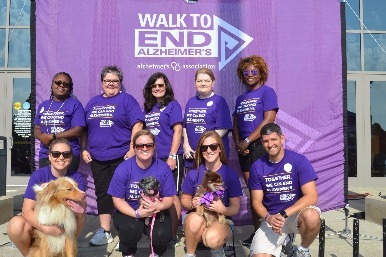 Held annually in more than 600 communities nationwide, Walk to End Alzheimer’s is the world’s largest event to raise awareness and funds for Alzheimer’s care, support and research. 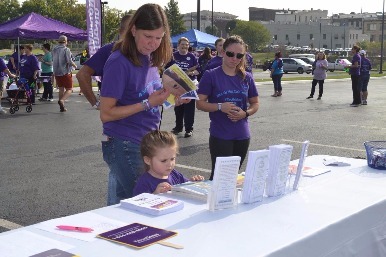 Over four hundred people turned out on a warm morning and walked around the Justice Center and along a two mile path going through downtown Hopkinsville. The participants celebrated the efforts of all the caregivers and the people who raised funds. This year over $78,863.88 was presented to the Alzheimer’s Association for research to end Alzheimer’s. The Pennyrile Area Development District’s Area Agency on Aging and Independent Living Division manned a booth and gave out information related specifically to care of persons with dementia as well as services in general for the elderly and/or disabled.